Your job, kids, social life, and relationships take up much of your time, and you are struggling to find “you” time. Over the course of time, you have let your health slip and have gained some extra, unwanted weight. An injury has sidelined you from doing your favorite physical activity. These things, or some of them, or one of them, may be a fact of life for you. Whether you like it or not. The fact that these (and other potentially negative) things exist isn’t up to you to change. You can change how you perceive them. You can change how you think about them. You can change how you let them dictate FOR YOU what you are going to do. Take your imperfect situation for example. That situation has “two handles.” Two ways to perceive it. You can grab the big, easy handle that relieves you of responsibility and work…and ultimately the satisfaction of successfully doing something. That handle gives you temporary relief. You can look for and identify that small, cumbersome handle that asks you to reconsider your situation. It will require of you work and tenacity. But it comes with a reward. By grabbing that handle, you’ve chosen not to see limitation, but opportunity. You have a choice to make any obstacle an opportinuty. When you start looking for and grabbing that handle, it becomes contagious. It feels good to be able to control your situation by doing what IS in your power to control. So, you have obstacles in your way to your fitness goal. What are you going to do? Which handle are you going to grab? 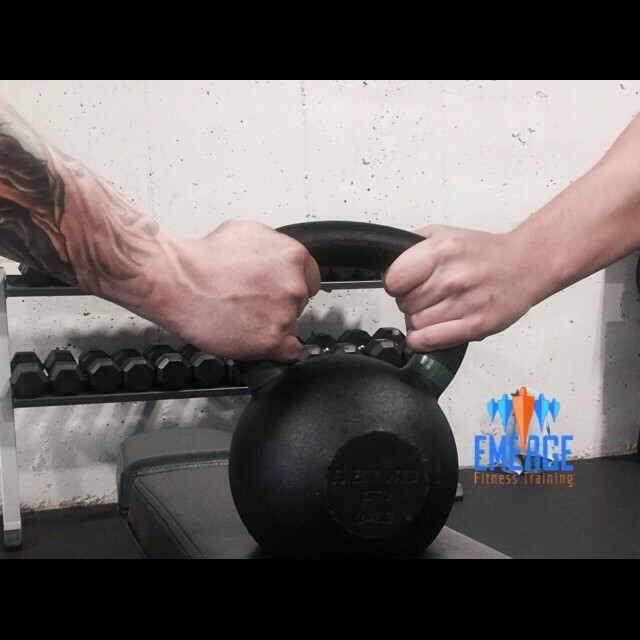 Once you’ve grabbed the handle that can be carried, Emerge can help show you the path to carry it along to your goal.